Take our ECG Blended Course! ** PLEASE MAKE SURE TO FOLLOW INSTRUCTIONS IN THE CONFIRMATION EMAIL (after purchase) TO COMPLETE ECG THEORY PORTION ONLINE & BRING CERTIFICATE OF COMPLETION TO CLASS. 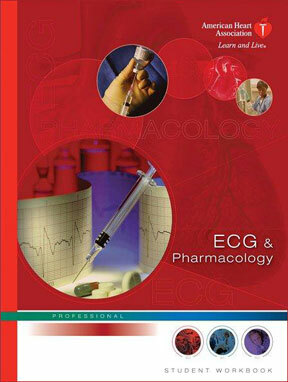 To purchase ECG and Interpretation Pharmacology Manual in Amazon, Click here. What will be covered in ECG Skills Class?